Ainsworth Game Technology Ltd has reaffirmed its profit guidance for the second half of this year, which it first issued in May. The Australian slot machine maker told the Australian Securities Exchange its second-half profit before tax, excluding currency movements, was likely to be less than half what it had forecast earlier. The company forecast that its second-half profit would be about AUD20 million (US$15.1 million), having previously forecast AUD42.2 million. In its latest filing, the company confirmed the assumption made in preparing its second-half earnings guidance that its Churchill Downs Inc order would be completed in the current financial year. The statement says the order has been delivered and will be reflected in its financial results for the year. Churchill Downs is developing a “racing machine facility” in the United States that will feature Ainsworth products. “We are pleased to complete this sale to Churchill Downs in this financial year and affirm guidance,” said Danny Gladstone, Ainsworth Game’s chief executive, in a statement included in the release. “Churchill Downs is an excellent partner for Ainsworth Game in the North American market and we look forward to working closely with them,” he added. The company said previously that domestic sales prospects for second half had been “adversely affected by a range of factors, including competitive activity, regulatory approval delays in product submissions and further product development changes which have deferred the approval and release of previously scheduled key game titles until first half financial year 2019”. 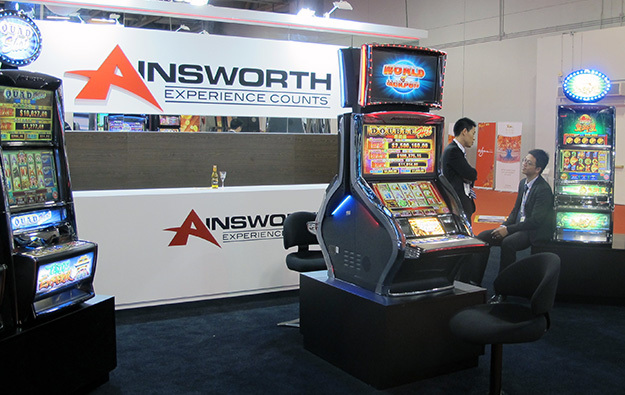 Ainsworth Game is due to issue its annual results on August 29.